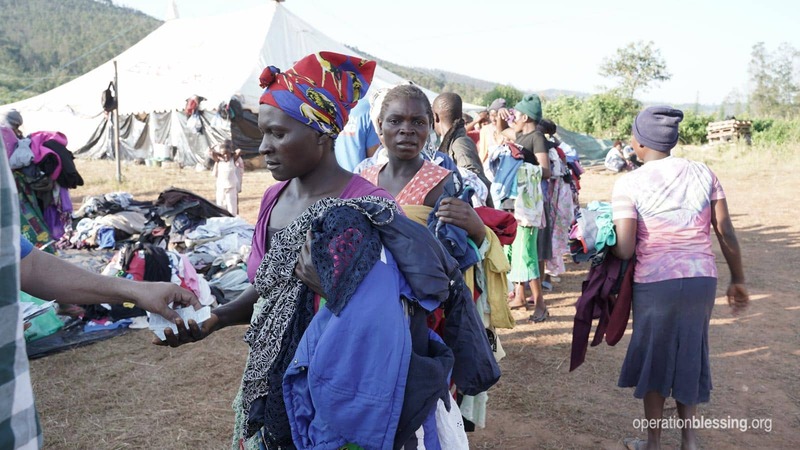 ZIMBABWE – Situated on the southeastern side of Africa, Zimbabwe, Mozambique, and Malawi were recently devastated by Cyclone Idai. As one of the most destructive storms to affect the area, the death toll is reported to have climbed past 700, while a cholera outbreak is making its way through the region, infecting thousands. 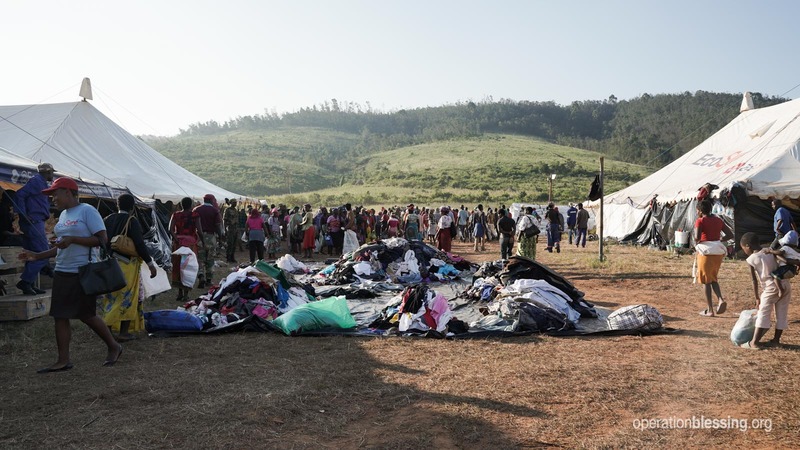 The millions who have been devastated by Idai’s high flood waters, raging winds, and powerful mudslides are suffering through the aftermath of this natural disaster. Homes were washed away, livelihoods demolished, and stability was rocked in the wake of this storm. 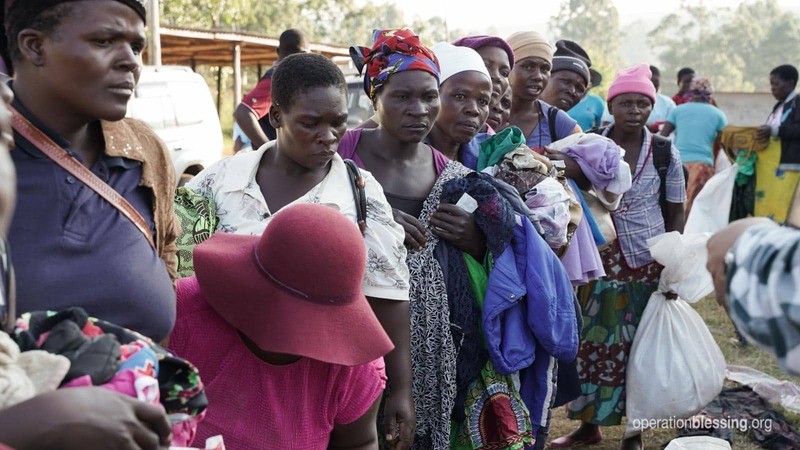 Those affected by Idai were led to regional command centers set up by the government where food and clothing was distributed. Yet conditions were not ideal in these camps, as hundreds gathered in each, seeking refuge and resources that were already scarce. 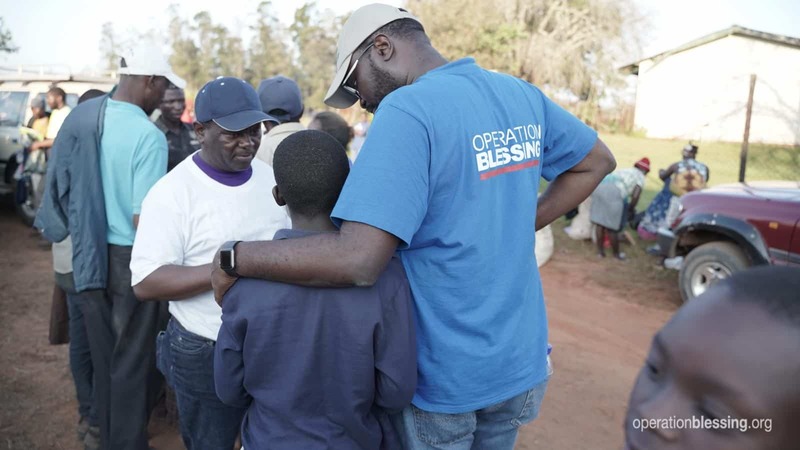 Yet thanks to the generosity of partners like you, Operation Blessing arrived at these camps with critical resources to meet some of these victims’ most basic needs. Distributing solar lights, women gained sense of safety at night while traveling to the washing well and sleeping with their children. As aquatabs and water purifying kits were distributed, desperate families were given a sustainable source of precious, life-sustaining water. These resources are also being distributed throughout rural, remote villages. One is home to several elderly women who have been left vulnerable in this disastrous time. 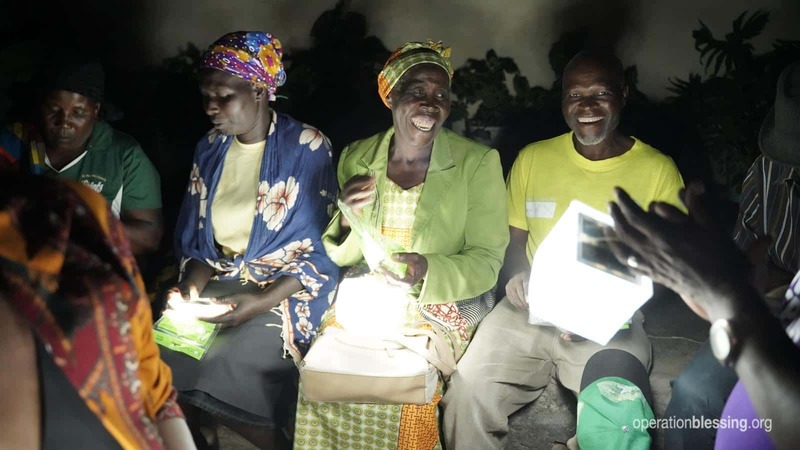 Peter Kimaru, Director of OB Kenya, described their wonder and appreciation when receiving solar lamps. “They clapped their hands and were very joyful and very grateful just to receive these lights,” he said.